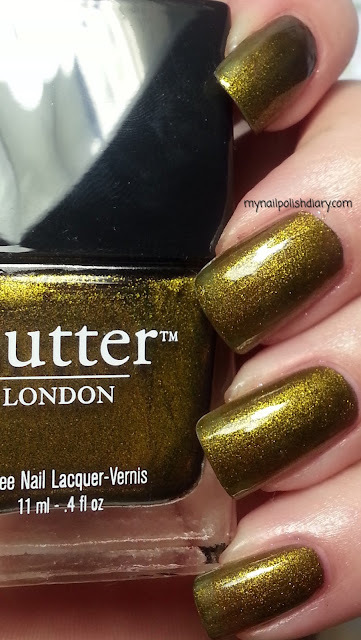 Butter London Wallis is a 2011 Autumn/Winter collection release. People went kind of crazy over this one. Including me. Who could resist. It's stunning! Sparkly golden green shimmer in this lovely olive green. I don't know if this looks exceptional with my skin tone, but that isn't going to ever stop me from wearing this and loving it!